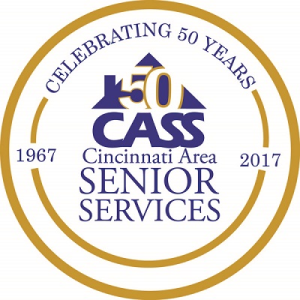 CASS is a non-profit agency committed to meeting the needs of Greater Cincinnati’s elderly population. CASS receives funding from: Hamilton County Elderly Services Levy, Council on Aging of Southwestern Ohio, City of Cincinnati, Ohio Department of Aging, and The United Way of Greater Cincinnati. Unfortunately, funding from these sources does not cover all costs and CASS relies on support from individuals, corporations, and foundations to augment its funding. Your tax deductible donation will help us continue our level of service to the seniors in our community who count on CASS to be there for them. Please help CASS help seniors in need.